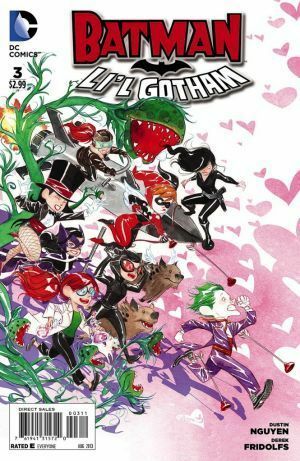 It's Valentine's Day in Gotham City, and The Joker's having a rough time. Not only does he hate the holiday, but when his plan to ruin it for everyone else backfires, he becomes the target of many fan-favorite females' affections! And in the second story, set against the backdrop of Gotham City's Lunar New Year celebrations, Damian and Katana team up to take down some thieves. But when they get captured, can some 'old' allies save them?